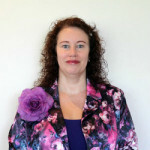 Tina has Diploma in Counselling, Diploma in Community Services AOD & MH, Level 2 – Australian Equine Facilitated Learning. Tina has worked with LAMP since 2015. Before she owned the Bridgetown Florist – 7 years, Floristry, giftware and garden shop. Tina loves the outdoors including camping, fishing and 4×4 driving & is horse mad. 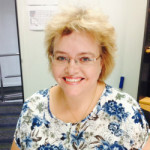 Julie works in the Wheatbelt PIR team and occasionally moonlights facilitating carer education workshops. Prior to her PIR role, she worked in the disability sector and has a background in coaching. 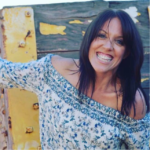 She has a passion for helping people through the process of change and to be empowered to live more self-directed lives. Julie considers art, cooking and getting her toes into beach sand the best kind of therapy. 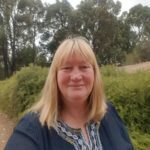 Victoria is a full-time PIR Support Facilitator in the Greater Bunbury region. She is a member of the Australian Association of Social Workers, having completed a Bachelor of Social Work at Edith Cowan University. She primarily utilises a human-rights approach in her practice, recognising the power and value of every person. 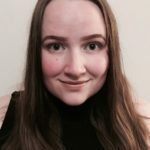 Victoria sees her clients as experts of their own lived experience, encouraging and empowering them to utilise and share their expertise throughout the PIR support facilitation process. Trish is based with Chorus in Albany as a Partner in Recovery Support Facilitator. She is a fully accredited Social Worker with a Master of Public Health (double major in Addiction Studies and Health Promotion). She has many years’ experience working in the mental health and disability field. Monica Lee Support Facilitator for PIR- Avivo. 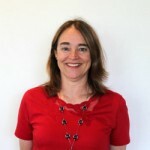 She has worked for Avivo for 5 years as a team Facilitator and Support Connector for the NDIS for 6 months. 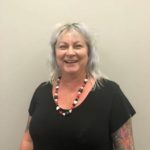 She has cert IV in Community Services and has always had a passion to assist those with Mental Illness, enjoy seeing them get the best out of their lives and develop into community members as an individuals. Chris worked in the disability, injury and illness employment sector before joining PIR. 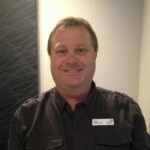 He is local to Narrogin and has a passion for helping people develop skills and capacity for themselves. 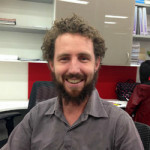 Chris is currently studying his Certificate IV in Mental Health. He is a strong advocate for healthy communities in the Upper Great Southern Region. Josh has joined Chorus Bunbury and South West team, having previously been with Avivo as a PIR Support Facilitator, in the Northam and Toodyay areas. He enjoys planting veggies and listening to records. With years experience in youth, tenancy support and homelessness there is a tangible excitement in coming to work in this progressive role. Sue has lived in the South West of WA since arriving from the UK in 1990. Recently joined PIR as a Support Facilitator through host agency Forrest Personnel. Sue has a background in nursing, including occupational health and prison health. Michelle has been appointed Support Facilitator for SWWA PIR through host agency Chorus. Michelle has a background in Mental Health and Systemic Advocacy. Michelle is based in Bunbury.